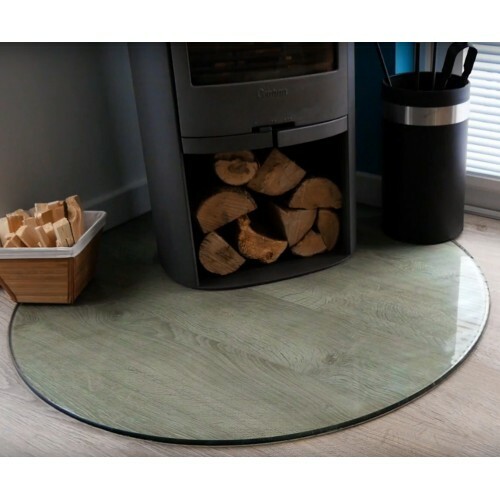 Glass Fire Hearths offer a stylish, contemporary, choice providing a safe surround to prevent fire hazards from falling hot ashes, embers or logs. All our Fire Hearths are all made to order and are available in 12mm, 15mm, 19mm thicknesses with a polished edge finish. If you require a beveled edge finish please contact us. 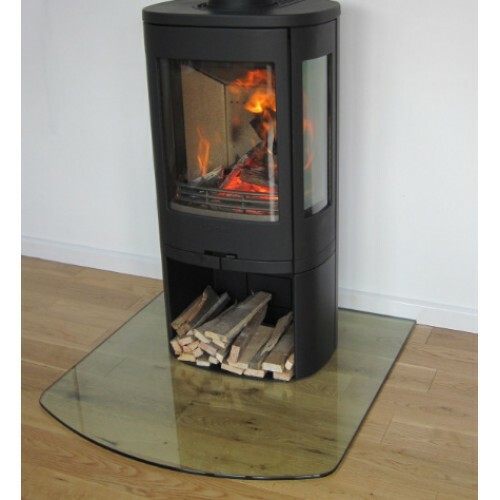 Hearth regulations for glass fronted wood burning stoves require the hearth toproject 500mm into the room and to be 150mm wider than any recess. Uk Glass cannot accept any liability for adhering to these regulations but we are always happy to help and advise.